We appreciate your interest in our inventory, and apologize we do not have model details displaying on the website at this time. Please fill the form out below and our team will quickly respond, or, please call us at (530) 885-2900 for more information. 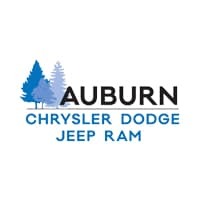 Auburn Chrysler Dodge Jeep Ram	38.9288642, -121.0891507. Visit Auburn Chrysler Dodge Jeep Ram Dealership near Rocklin CA to see our huge selection of new and used Dodge models as well as Certified Pre-owned cars and trucks. Ask about our Internet specials. Auburn Chrysler Dodge Jeep Ram dealership near Lincoln CA is your Certified Dodge Chrysler Jeep dealer with Pre-owned Dodge Chrysler Jeep models in stock. Auburn Chrysler Dodge Jeep Ram, serving Grass Valley CA, has a wide variety of Certified Pre-owned sedans, coupes, and convertible cars, trucks and SUV's in stock. Auburn Chrysler Dodge Jeep Ram dealers near Truckee CA has a complete parts department with OEM and aftermarket parts in stock. Auburn Chrysler Dodge Jeep Ram near Nevada City CA also offers convenient service appointments. Proudly serving the nearby communities of Auburn, Roseville, Folsom, Sacramento, Rocklin, Lincoln, Granite Bay, Truckee, Grass Valley, Nevada City,California.